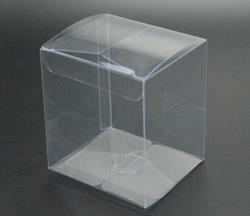 We offer a broad array of premium quality of PET (Polyethylene Terephthalate) Boxes. These are precisely manufactured by using the superb quality of factor inputs and advanced techniques by our dedicated experts.These products are highly appreciated and accepted in national as well as in international markets. For making the serving procedure stylish and memorable for our guests, we offer a range of PET (Polyethylene Terephthalate) Plastic Boxes which is made up of fine quality factor inputs. These are designed and manufactured by our skilled professionals by using optimum quality Plastic sheets and advanced techniques. These can be purchased from us at reasonable prices. 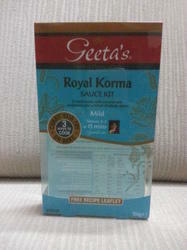 These products are highly appreciated and accepted in national as well as in international markets. We have a constant focus towards maintaining consistent quality in our offered PET (Polyethylene Terephthalate) Boxes which sets us apart from our competitors in the industry. We assure that the basic material we use in the production process are of premium quality and are sourced from one of the leading vendors of the market. Furthermore, these are designed with high meticulousness in order to meet the international quality standards. Being a reputed name in manufacturing, exporting and supplying of PET (Polyethylene Terephthalate) Printed Boxes, Our range consists of high quality Pet Boxes. These boxes are used to nurture the demand of packaging and safely transporting the items to their destination points in the best possible ways. 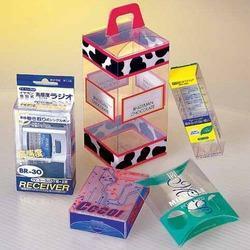 Their colorful and attractive packaging is able to fascinate clients of all classes all over the world.